In his first game as coach of Barça B, Garcia Pimienta couldn’t oversee a win, despite his team’s dominance in all facets of the game against Almeria (1-0). Carles Perez, Aleñá and Nahuel inspired the Barça attack but without reward. Garcia Pimienta decided to play two youngsters of the future: Monchu, in the midfield, and Abel Ruiz, up front. The striker, along with Carles Pérez, circulated the ball well and chance after chance came the way of the visitors. 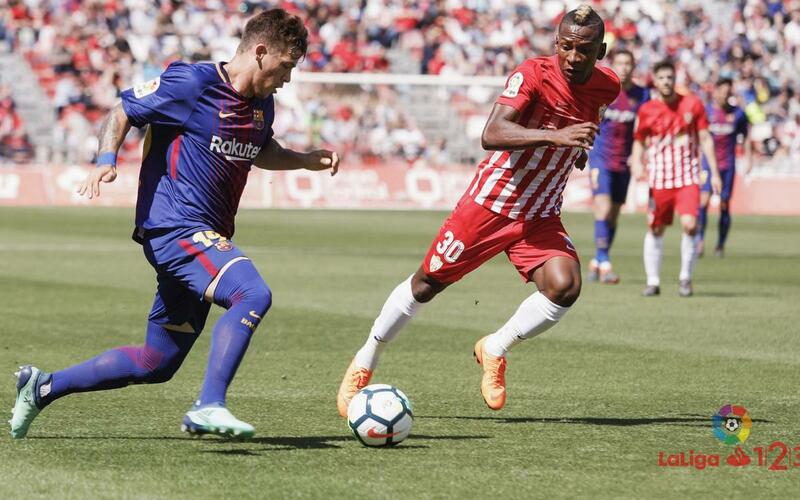 Still goalless at half-time, the score in no way reflected the effort that Barça had put in. Their superiority was encouraging, but the ball just wouldn’t fall for them. Despite a consistent and concerted effort to break the hosts down, it was Almeria who struck a body blow in the 65th minute, thanks to Hicham. Barely out of their half until that point, the goal would see them unexpectedly take the lead, and eventually the victory. Barça B’s next game will be against Reus at the Miniestadi.